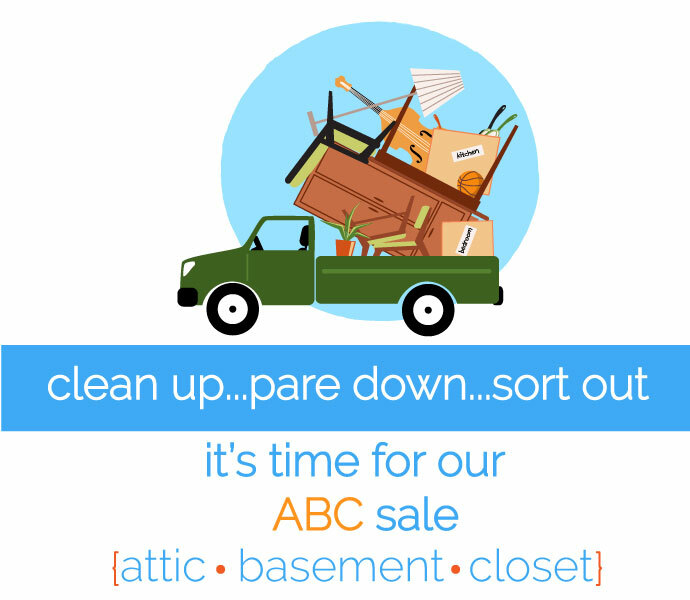 The annual spring ABC Sale is one of eastern North Carolina’s largest indoor yard sales, and is one of our biggest fundraisers. All items for sale have been donated to the Historical Society, and they include furniture, antiques, jewelry, kitchenware, glassware, electronics, gifts, toys and much, much more. Our sale is well-known for a wide selection of higher-end, gently used items. We collect donated items throughout the year. * Bring your boxed donations to the New Bern Historical Society office, 511 Broad Street. A tax receipt will be provided. Need help with furniture or larger items? Call our office at 252-638-8558. *Please no books, clothes, perishables, car seats, helmets, mattresses, TVs, fiberboard furniture, computer monitors or anything that has been in flood water. We welcome volunteers to help with sale set-up and furniture pick-ups. Added bonus – volunteers who work at least four hours get the exclusive opportunity to shop at the fabulous ABC Pre-Sale the day prior to the sale!